Indian Navy Armament Inspection Cadre (NAIC) Recruitment 2018 has started online from 8 April 2018 and the candidates willing to fill the application form can fill the same until the last date which is 25 January 2018. Applications are invited from unmarried Indian Male or Female at Indian Naval Academy (INA) 2018 for the course that will commence on January, Ezhimala, Kerala for January 2018 batch. 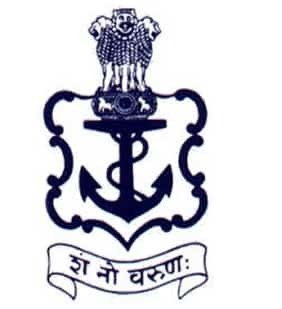 The Indian Navy is inviting the application for the Short Service Commission Officers in Indian Navy Armament Inspection Cadre (NAIC) recruitment for both the male and female. Indian Navy Armament Inspection officer selection will be based on SSB Interview at Bangalore, Bhopal, Coimbatore and Visakhapatnam. Number of Vacancies: There are 8 vacancies available. Indian Navy is an integral part of Armed Forces of India and the President of India is the Commander-in-Chief of the Navy. After India became free from British rule, the Royal Indian Navy was renamed to Indian Navy in 1950. Indian Navy secures maritime borders of the nation along with other activities such as joint exercises to ameliorate international relationships and humanitarian missions including disaster relief. Age: The candidate must be born between 2 January 1994 and 1 July 1999. The candidates born between given period will be eligible for the Indian Naval Armament Inspection Cadre course. Should not be colour blind/night blind. Tattoos are allowed only for the tribal communities as declared by the government of India. For other candidates, permanent body tattoos are only permitted on inner face or forearms. The tattoos are valid from the inside of elbow to wrist end on the reverse side of palm/back (dorsal) side of the hand. Indian Navy Recruitment for NAI invites online applications only. Candidates can make the online e-application until 25 January 2018 by following the link given below. The application filling and submission is online process, There is no need to send the documents or application form in offline mode or by post, However, Candidates are required to take the printout of the application form which will be required at the time of the SSB interviews. Fill the online registration form and the details must be filled as per Matriculation Certificate. Fill the online registration form. Candidates should mention their priority that is NAI in the application form while filling the online application form. Every detail filled by the applicants will be verified it is mandatory to enter the exact percentages of each semester of their degree and school. Any ambiguity and false information may lead to the termination of the application. Applicants have to take the two printouts of the application form with the same application number. Self-attested photocopies of 10th & 12th class certificates along with Mark Sheets other educational certificates and mark sheets of all semester/years. In case of CGPA, the candidate is required to attach the certificate issued by the university for conversion of CGPA into the percentage. The application form for NIAC is to be submitted in online mode only, There is no need to sent the printed hard copy anywhere. After the successful submission of the Application, form candidates have to take the printout of the application form which is to be produced on the SSB Interview day. There will be no exam for the recruitment process and the selection process will consist of two stages.The Candidates will be informed about their performance at the end of each round of SSB Interview and Medical Examination. The SSB Interview is a 5-day procedure and consists of the two stages i.e. Stage 1 and Stage 2. Shortlisted candidates will be informed via email or SMS regarding their selection for the Interview. The Candidates will be issued call letters for Service Selection Board interviews based on their performance in educational qualification as per the cut off percentage fixed by Ministry of Defence. SSB interviews of the short-listed candidates will be scheduled from May/July 2018 for NAIC at Bangalore/ Bhopal/ Coimbatore/ Visakhapatnam. The SSB interview will be of 5 days and will consist of two rounds. Round 2: This round will consist Psychological Tests, Group Tasks, and Interview. Successful candidates will undergo medicals examination. Candidates will undergo Naval Orientation Course at the Indian Naval Academy, Ezhimala, Kerala followed by professional training at various Naval Training Establishments/ Units/ Ships. This should be known that only unmarried candidates will undergo training. Any candidate found married or who marries while undergoing training will be discharged. The officers shall be on probation for a period of three years or till he/ she successfully completes his/ her initial training, whichever is later. The probation period will start from the date of commencement of training at Indian Naval Academy. The pay scale and the allowances which will be bear by the Indian Navy for the Naval Armament Inspection Cadre are given in the table below. The candidates can find the details of the pay scale and allowance in the table below. The cost to Company CTC: The CTC of a Sub Lieutenant will be Rs.72,444 to 81,700 per month including basic pay, HRA, DA, Grade Pay, Flying allowance and Transport allowance. Privileges: Free Medical facilities for self and dependents, entitled ration, Canteen Facility, Mess/Club/Sports Facilities, Government Accommodation and Loans at the Subsidised rate. Group Insurance: Insurance Cover worth Rs.75 Lakhs and gratuity as per rules in force. Leaves: 60 days annual leaves and 20 days casual leaves. Encashment of leaves up to 300 days. Sports and Adventures: One can get involved in any sports of their liking along with adventure sports such as river rafting, wind Surfing, Mountaineering and hot air ballooning.